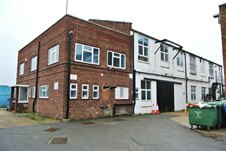 Cattaneo Commercial have just completed the letting of Factory Z, 20 Lyon Road, Hersham Trading Estate, Hersham, Surrey. The unit comprises a two storey, detached industrial building of 7,610 sq ft (707 sq m). We have further enquiries for similar space in this locality. If you are thinking of letting or selling your industrial building, please contact Andy Armiger on 020 8481 4741.